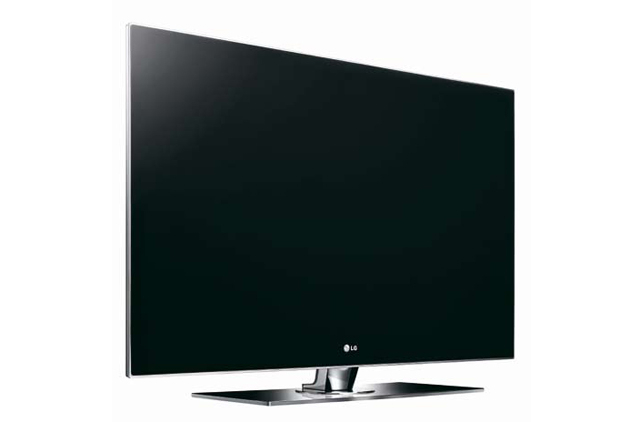 Key features The full HD SL90 LED LCD TV features Injection Compression Molding technology and film lamination to create a seamless flat panel with a depth of just 2.9cm. Environment friendly, it uses up to 80 per cent lower power compared to similar TVs. It features invisible speakers which make the TV appear smaller and boasts wireless connection thanks to a USB port. Best for Those who expect a cinematic experience and still want to have a stylish TV in their living room. From the moment a newborn opens his sensitive beady eyes, his gaze seems instinctively to rest on the moving, flashing, noisy colours on the TV. By the time he can walk, he can manage a remote control with ease and place his favourite DVD into the player, the right way up - children learn fast. By teenage years there is nothing that a child cannot do with a home entertainment system. It isn't wrong. And it isn't a sign of bad parenting. It is a common symptom of our technology-fuelled lives. The Centre of Media and Child Health in the US says, "Young people spend more time using media — TV, movies, music, computers, internet, cell phones, magazines and video games — than engaging in any other single activity except sleep. The media that children use and create are integral to their growing sense of themselves, of the world, and of how they should interact with it." They go on to say, even though media consumption is linked to negative health issues, such as smoking, obesity, eating disorders and anxiety, there are also positive effects to be had, such as positive social behaviour, tolerance, school readiness, knowledge acquisition, and positive self-image. So, it is official. Technology is a necessary evil in a child's life. How, then, can parents be sure what constitutes too little or too much? The American Academy of Paediatrics (AAP) recommends a strict media diet of one to two hours of quality viewing per day for children over the age of two. For children under two, they recommend no media exposure at all. That's all well and good, but a recent study from the Kaiser Family Foundation found that the average child spends nearly eight hours a day in front of either a TV, computer, gaming console or another electronic device, and that their impressive ability to multi-task technology - that is watching a movie while facebooking and dowloading music to their iPod - means the average child can cram 11 hours worth of media and technology into their daily eight. For a child with a solid history of media bingeing like this, getting them to cut back to two episodes of Wizards of Waverley Place per day, or an hour of internet time, is going to be as difficult as getting a tobacco farmer to give up his smokes. Sixteen-year-old Eleanor Yates consumes approximately six or seven hours of screen time a day on the weekends and about two hours on a school day. This is at least less than her friend, who logs on to the internet through the laptop in her bedroom at 3.30pm when she comes home from school and stays online until about 10pm. "I think our generation doesn't quite know how to interact with people unless it is over the internet," says Eleanor. "We can have best friends who we speak to more on the internet than off the internet. We are like the cyber generation." According to Eleanor, adults and parents don't understand why her generation is so addicted to the screen. "When our parents were our age, staying in touch with friends meant ringing someone up or going round to their house. They didn't instant message their friends like we do. Adults don't understand why we are hooked on the internet - but we don't understand how they used to write so many letters. If we were all sent back to the 1960s with no laptops and huge phones, we would probably go insane." This may sound a little extreme, but Eleanor may not be exaggerating when she says that her generation is "hooked". Dr Jack Fernandes is a family medicine physician at Health Call Clinic, Dubai Healthcare City. He says, "Watchingtoo much TV switches off the logical critical left side of the brain and engages the emotional right side of the brain.The right side doesn't analyse information but responds emotionallyto it, which in turn leads to the releaseof feel-good chemicals in the braincalled endorphins. Through this process it is possible to become addicted to TV and computers." So, what about the argument of fairness, which will undoubtedly arise when you try to cut back your child's screen allowance when all their friends are watching theirs? Therese Sequeira is a parenting educator and mother of three. She says just because your child's friends are screen bingeing, it doesn't mean you have to allow your child to do the same. "If all of your child's friends are on the internet late into the night and texting each other at two in the morning, does it make it OK? Of course not - it comes back to having your own family values. A confident parent would say, ‘Great - that's good for them. But in our family, we like to talk to each other and see each other in the evenings.' The key in this situation is not to be critical of other families' choices, but to tell your child that it is not your family's way." Eleanor's mother, Anna, has three older children ranging in age from 25 to 31. In her experience, it's much harder to control your child's media consumption these days than it was 15 years ago. She says, "The main difference is that today, teenagers are often watching their own PC screen, rather than the family TV. This means that they are more in control of what they watch, and for how long, as they do not have to conform to family programme preferences and schedules. The other difference is that it is now considered a necessity for everyone, adults and children alike, to have their own PC or laptop as a part of every day life - probably because now they are more affordable." When asked if she enforces screen time limits, Yates says that rules are pretty ineffective as her daughter has access to both TV and the internet in her bedroom. "Rules don't work as you cannot watch them all the time - you have to rely on trust. If I do ask her to turn off her TV or computer, she becomes irritated and bolshy - she's a teenager after all." However, while Yates recognises the obvious positives to her daughter's screen and internet skills - namely staying connected with friends, researching school work, and finding out about the world - she says there is definitely a downside. "Children seem to spend significantly more time in their bedroom, or in the family study, than they used to, which means they spend less time participating in family life. If you can reach a happy medium whereby they agree to spend some time with the family and then have time to themselves, that is the best you can ask for. At least if teenagers are at home in their room on their computer, they aren't out on the streets getting into trouble." If strict rules don't sit too well with your family, there are a few simple ways of cutting your child's screen time without them even noticing. For example, for younger children, slashing background TV can boost parent-child interactions by 20 per cent, according to a study from the University of Massachusetts. Another way of reducing screen time in young children is to look at their childcare scenario. Research published in the journal, Pediatrics, states that children in a home-based daycare setting watch an average of 2.4 hours more TV per day than children in a centre-based setting. However, researchers advise parents to ask the screen time question when looking at potential daycare venues for their child. Sequeira recommends scheduling screen time into your young child's daily routine as she says it makes it easier to control - for example, make it a habit that your children always sit down in front of the TV with a snack when they get home from school for 45 minutes. For older children, the easiest way to cut screen time is to remove electrical items from their bedrooms - having a TV in the bedroom boosts daily screen time by approximately 90 minutes, increases their risk of obesity by 31 per cent and doubles their risk of smoking, according to the AAP. Another tip is to set a strict bedtime and stick to it - not having strict and enforced bedtimes can mean overdosing on TV viewing, computer gaming and internet surfing late at night, as well as increased intake of caffeine, according to the University of Arizona. Also, avoid using screen time as a reward or punishment, as this lends it more importance in your children's eyes. Dr Fernandes advises using routine as a method of control for older children, too. He says, "Children should do their homework and house chores before being allowed any screen time. Children love to cook and can help parents prepare meals. This way they're learning about food and also enjoy a sense of achievement that they have done something positive. Watching TV during meals should be a definite no-no, as it should be used as a time to catch up as a family and socialise. The key is finding the right balance between children getting enough physical activity, doing things together as a family, and giving children some choice in how they spend their time, which will most likely involve spending time in front of a screen." Dr Fernandes goes on to say that although screen time should be limited to an hour, or a maximum of 90 minutes, technological media isn't all bad. "TV and the internet can be both educational and entertaining and gives children a chance to travel the globe, learn about different cultures and be exposed to new ideas that they wouldn't be in their own society. As a result, these ‘pro-social' programmes will have a positive effect on children's behaviour." For children of all ages, the Centre on Media and Child Health advises parents to check out what shows, games and sites your child is viewing using a recognised media rating system, such as Common Sense Media or Epinions. Another way of reducing your family's screen habit is to encourage them to sign up for the biannual anti-screen event Turnoff Week, which will force them to experience family life without screens. Turnoff Week was launched by the Centre for Screen Time Awareness (www.screentime.org) in an effort to raise awareness about how screens have infiltrated our lives and homes. By pledging to turn off all of the screens in your house for one week, organisers say your family may eventually reduce their screen usage long term. A study published in the Archives of Pediatric and Adolescent Medicine reports that high levels of screen time caused children to feel less attached to their parents. Psychologist Dr Andrea Tosatto at Synergy Integrated Medical Centre (04-3485452) in Dubai agrees. He says, "High amounts of screen time can only affect the health of a family negatively. High screen time levels mean less communication. Less communication means less sharing, superficial relationships and less possibility to face and solve possible issues." Research published in Paediatrics found that for every hour of television viewed per day, a child's chances of developing attention deficit disorder rises by 10 per cent. Twenty three per cent of children who use media mildly have C grades. This jumps to nearly 50 per cent for heavy media users, according to the Kaiser Family Foundation. A separate study from the Université de Montréal found that high levels of screen time during toddler years was linked to lower grades and adaptation in children at school age - 10 per cent increase in victimisation, a seven per cent decrease in classroom engagement, a 6 per cent decrease in maths achievement and a 9 per cent decrease in general physical activity. A study from the University of Otago in Dunedin found that high levels of screen time in adolescents was linked with a 24 per cent increased risk for having low attachment to peers. Dr Tosatto says, "Too much screen time means less time saved for other activities, including socialising. Furthermore, the exposure to inappropriate content can feed fears, insecurity and feelings of guilt, and can affect children and teenagers' self-esteem and self-efficacy perception, which can promote isolation." According to Dr Jack Fernandes from Health Call, media consumption can lower a person's self-esteem and confidence by encouraging them to compare themselves with those on screen. He says, "TV gives us a sense of inadequacy from early on as nearly all TV personalities are immaculately turned out, beautiful, handsome, slim, well toned, rich... and we tend to compare ourselves to these people." Both TV and the internet offer advertisers an intravenous drip straight into your child's psyche. According to a 1990 study by the US Congress, by the time a child reaches 18, he will have spent up to 15,000 hours in front of a television and been exposed to more than 200,000 advertisements. With the increase in screen time over the past 15 years, these numbers would have risen. Worryingly, research from the Kaiser Family Foundation reports that children under the age of six cannot differentiate between advertisements and TV programmes.